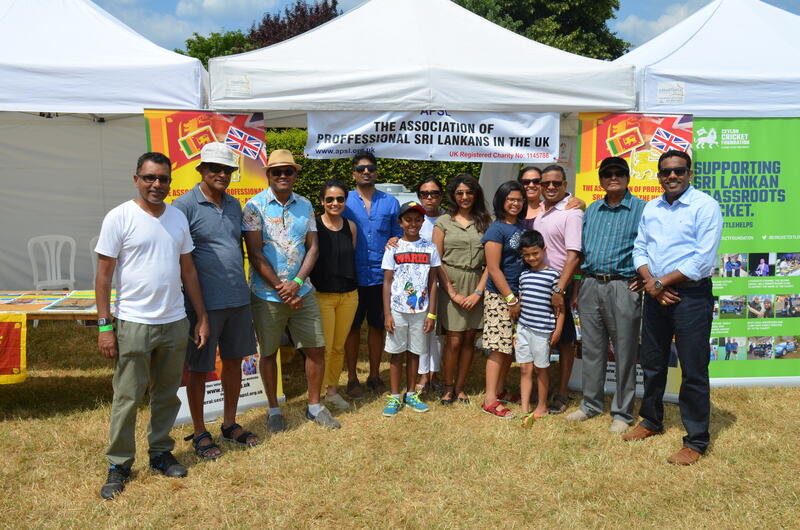 With the true spirit of supporting Sri Lankan Cricket, The Association of Professional Sri Lankans in the UK (APSL) attended the Festival of Cricket (FOC) held in London on the 8th July 2018. The APSL stall was buzzing with a constant trend of visitors who showed an interest in its activities and the type of fundraising project that was currently carried out. Despite the day being an extremely heaty 30 C degrees plus temperature the APSL Ex-co were able to endure 10 hours of marketing, publicity and recruitment throughout the day. APSL wishes to thank everyone who attended our stall and most welcome to the new members that were recruited.